Looking for a job is the foremost task as a graduate. Applications are made to be submitted to the various industries. 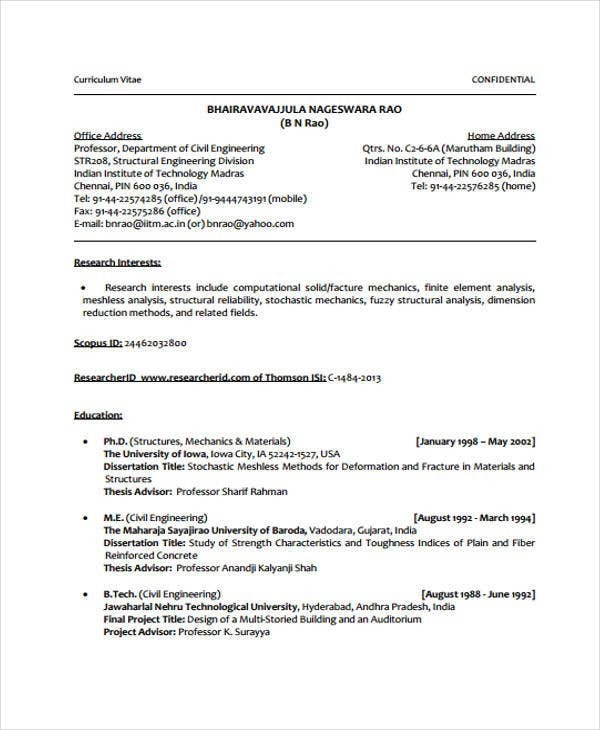 If you are a graduate of an engineering course wherein you are associated with being an architect, a developer, or a designer of physical structures, Curriculum Vitae Template, and Resumes are important to be submitted when applying aside from the cover letter. 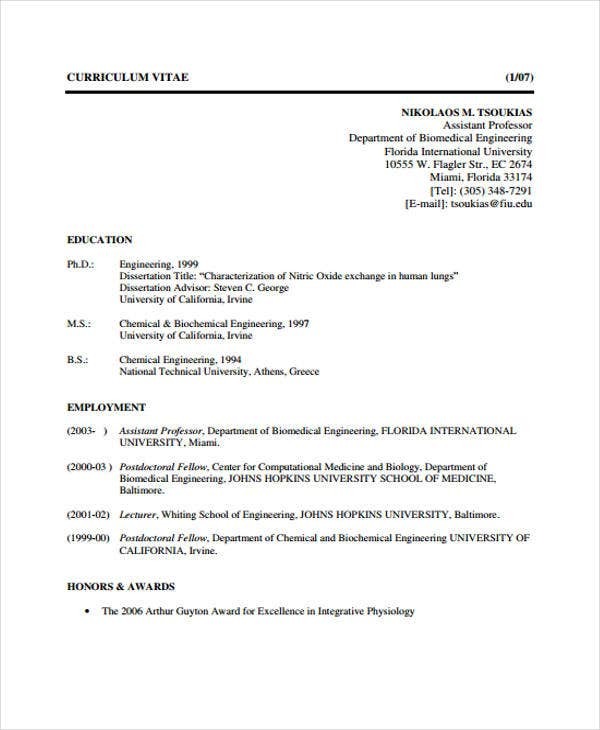 Curriculum Vitae writing has some differences with resume writing. One of which is the length of the document. 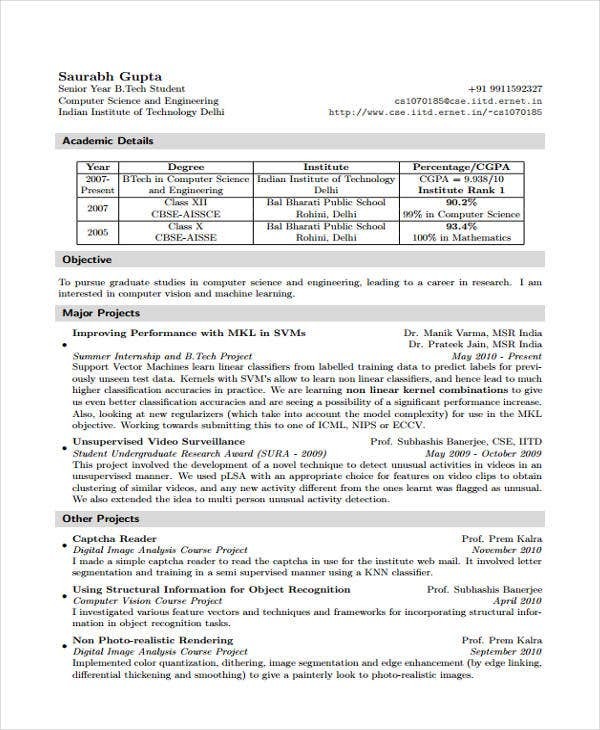 As you see from the sample templates, the document contains longer bits of information of the applicant’s background compared to the ones in a resume. Contact Details. Put correct information of your name, your address, your contact number and your email address. 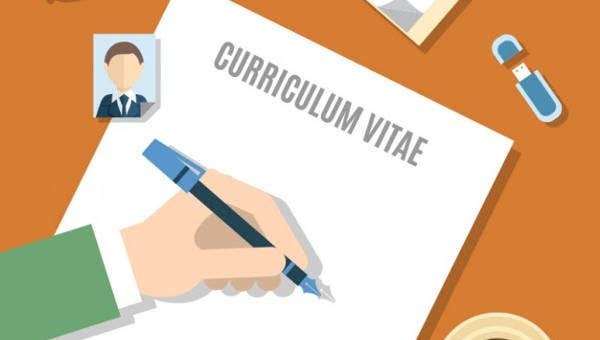 This is essential to be written on any CV, like student curriculum vitae, to let your employers know where and how to reach you. Career Summary. This will serve as a brief overview of your strong attributes. This summary answers the “Why should I hire you?” interview question. Educational Attainment and related Awards. In this part, you write the engineering degree you acquired along with the awards and the excellent grades you achieved. Work Experience. When writing for your work experience, action words help in describing the skills you have acquired while you were employed on your previous job or for fresh engineering graduates while you were an on-the-job trainee. Try the words created, developed, invented, or engineering-related keywords. Interests and Achievements. 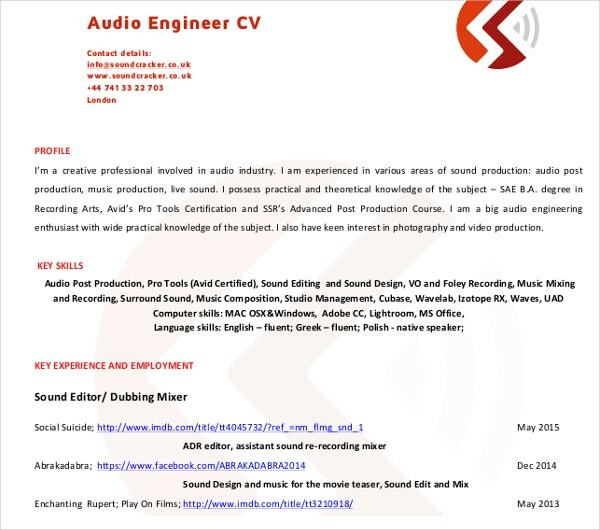 Bullet points are usually used in making this part of the job curriculum vitae. State the skills that will make you an asset to the company. References. Two references are sufficient for this section. 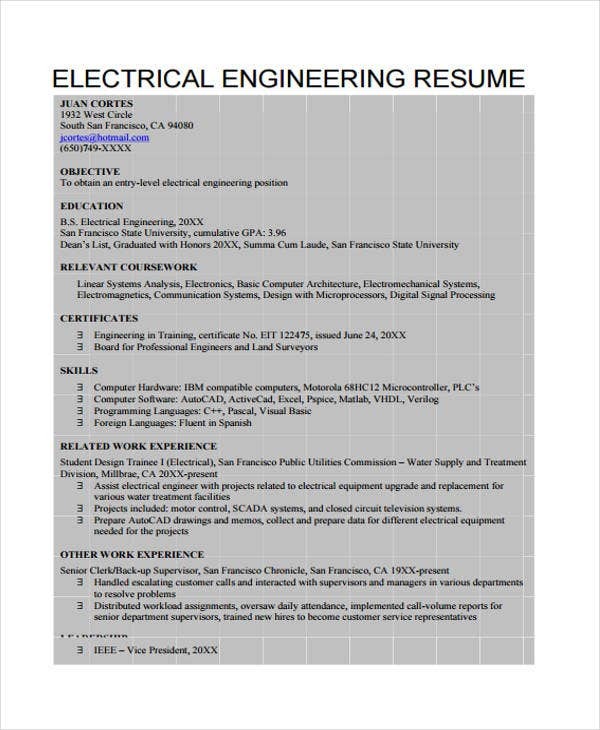 Write the correct contact information such as a past employer or a project professor. 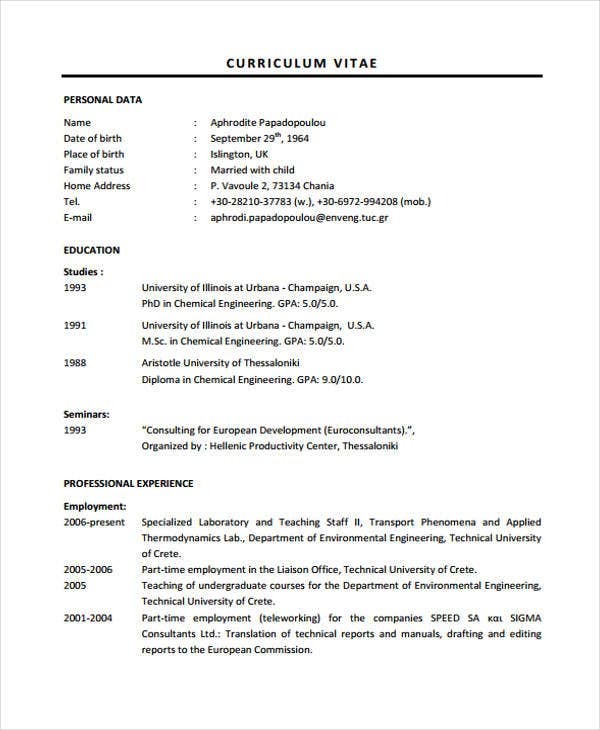 There are downloadable Best CV Templates provided on this website for your reference. 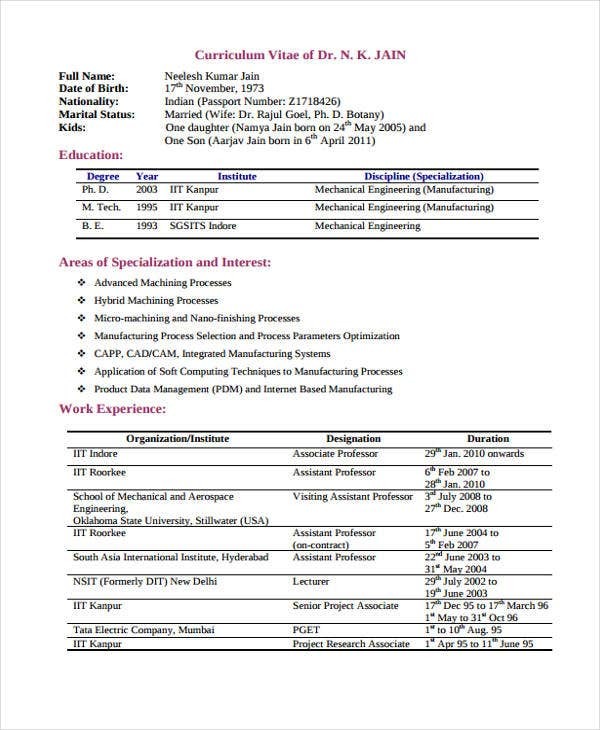 At the start of your formal curriculum vitae, on the career summary section, get the employers’ attention. Create impact by writing your best qualities that would fit the needs of the company for the job position. Always consider how you can contribute to the company you are applying for. Show on your executive curriculum vitae the reasons why they need to hire you using the information of your experience and your skills. 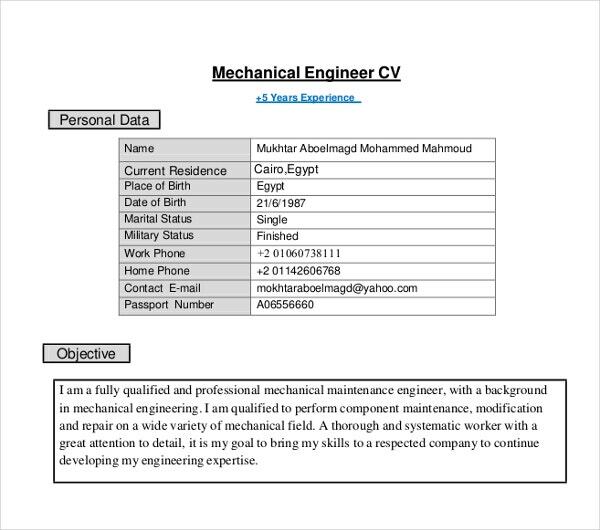 Draw the attention of the employer to the important information of your CV by writing them in a different text format. You should also make an effort in checking for grammatical and typographical errors. 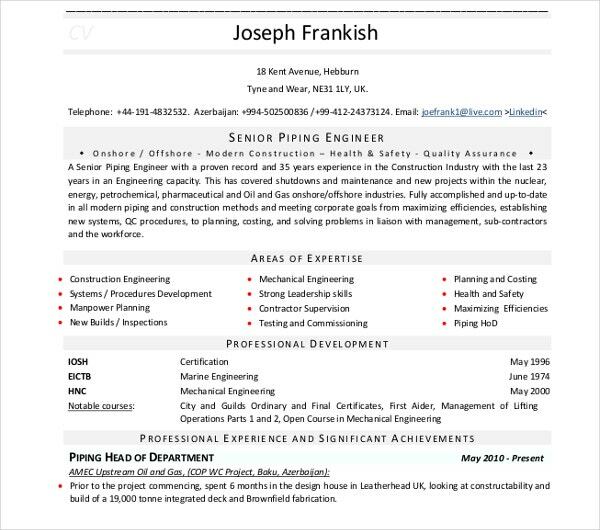 Cater your CV format template to the company you are applying for by aligning its information to the needs of that company. 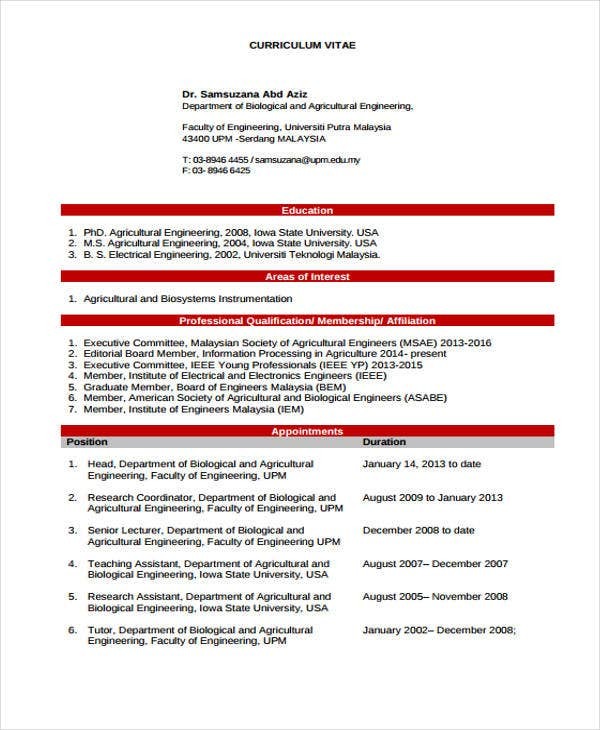 Research about the nature of every company you apply for and submit a suitable CV for each entity. 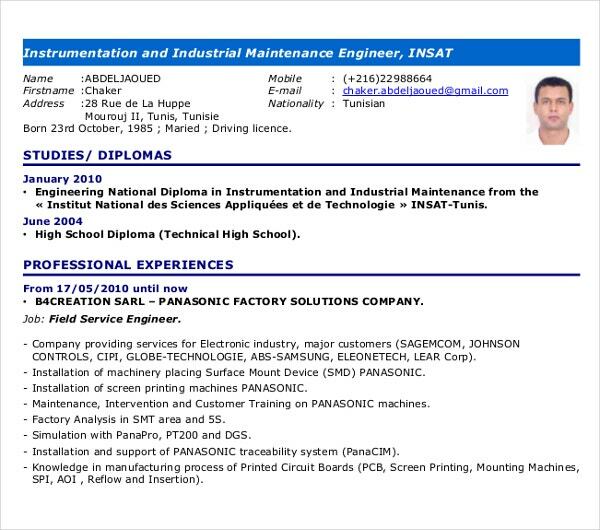 A properly written curriculum vitae is always to be considered when applying for a job as an engineer. 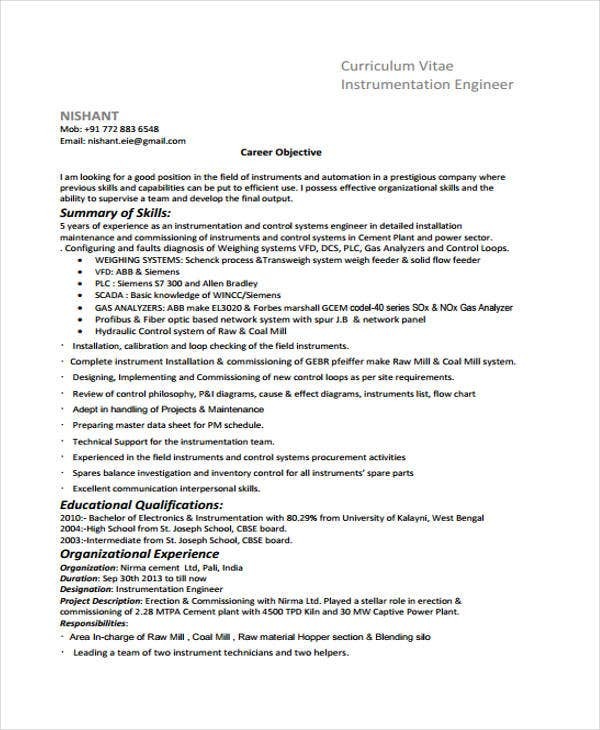 You can refer on the curriculum vitae samples on this website as your guide in designing a perfect engineer curriculum vitae.